Can You Defrost Hamburger in Hot Water? How Long Do Thawed Pork Chops Stay Edible? 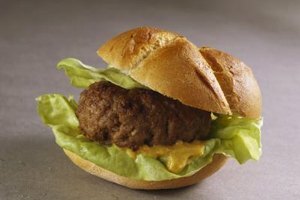 Use hamburger meat within three to four months of freezer storage. 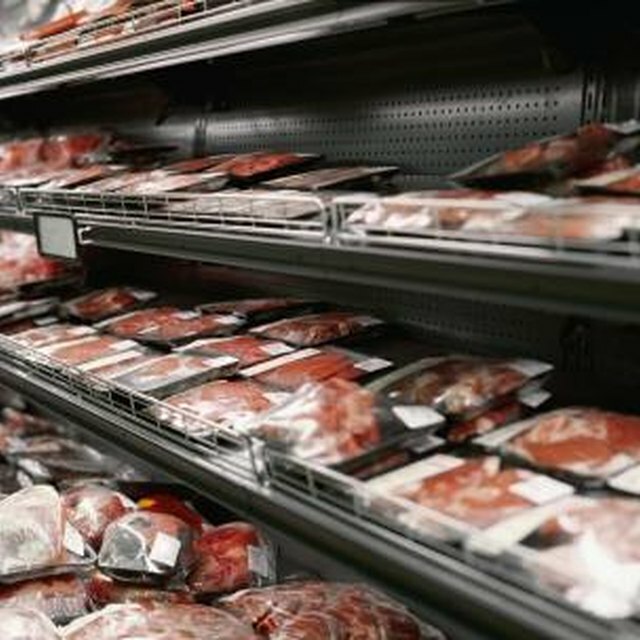 1 How Long Can Meat Stay out of the Freezer Before You Cook It? 2 Do You Need to Defrost Chicken Wings Before Slow Cooking Them? 3 Can You Defrost Hamburger in Hot Water? 4 How Long Do Thawed Pork Chops Stay Edible? The American public consumes almost 50 billion hamburgers per year, which translates to three burgers per week for every man, woman and child. While some burgers are prepared from raw ground beef, others are cooked from frozen patties. Before you place frozen mouth-watering patties on the grill to sizzle, take the time to properly defrost the meat. Once thawed, the beef patties will cook more evenly, resulting in juicier, better-tasting burgers. There are two main safe defrosting methods that don't involve heating the hamburger patties. The first is to allow the hamburger patties to defrost in a container in the fridge overnight. The container will catch any meat juices and prevent them from contaminating other foods in the fridge. The second method entails placing patties separately in a plastic bag and submerging it in a bowl of cold water. Depending on the thickness of the patties, the meat will defrost within 30 to 45 minutes. Microwaves often come with a "defrost" function that allows you to enter the type of meat along with the weight in order to defrost your ground beef patties. However, the danger is that the beef begins to cook or become gray around the edges since those heat first. If employing the microwave method, keep a sharp eye during the defrosting process so you can pull the beef patties before they cook. Defrosted hamburger patties last one to two days when defrosted in the fridge before they need to be cooked. Additionally, meat that has been defrosted using the fridge method may also be re-frozen within that same window. Meat defrosted using the water or microwave method should be cooked right away and not stored or re-frozen. Do Pork Chops Stay Good When Frozen? How Long Should I Keep Steaks Refrigerated Before Cooking? Can You Freeze Meat Twice?